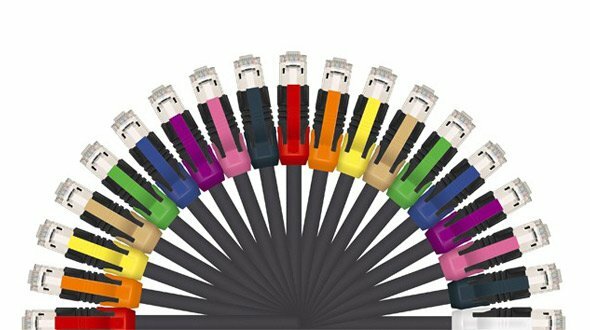 Many different data cables are available on the market. In many applications standard data cable does not lead to the desired result or a machine uses Industrial Ethernet or a fieldbus. The Industrial Ethernet cables from ESCHA are available in 4-pole or 8-pole M12x1 connections. ESCHA has different cables for different applications in the range. ESCHA has cables for the following fieldbuses: Profibus, ModBus, CANopen and DeviceNet. Ethernet / IP, PROFINET, EtherCAT, Modbus-TCP, POWERLINK are Industrial Ethernet cables. Industrial Ethernet cables can be found in every appliance or workplace. ESCHA ethernet cables are available in 4-pole (D-coded) or 8-pole (X-coded) M12x1 connections. Just as chassis connections, interface components and circuit board components. RJ45 patch cords ensure the high quality of data transfer. Ethernet cables are available in the following categories: patch cables Cat5e, patch cables Cat6A, and patch cables Cat7. Ethernet cables support the following protocols: PROFINET, Ethernet Powerlink, Ethernet/IP and EtherCAT Sercos. 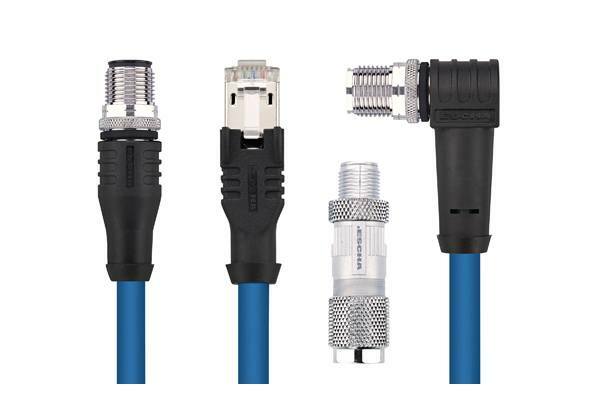 The cables are available in M12, M8, RJ45 and as connectors, chassis parts or receptacles with sealing up to and including IP68. Profibus cables must comply with the Bus-specific requirements of the Profibus/profinet organisation (PNO). 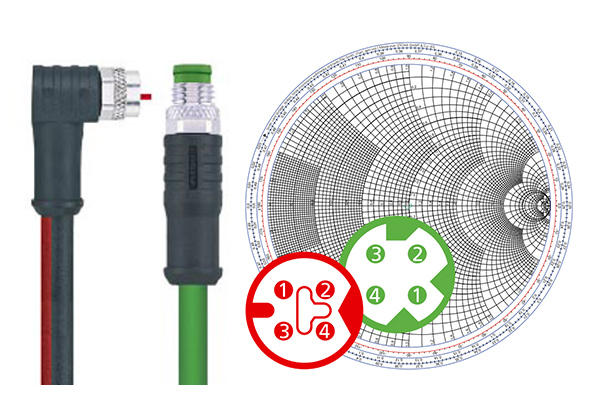 ESCHA cables are in compliance with these requirements and available in 5-pole (B-coded), M12, T-splitters and Y-splitters, connectors, chassis parts or receptacles with sealing up to and including IP68. CANopen cables and DeviceNet cables are equipped with UL-certification and can handle a resistance of up to and including 120 minutes. The cables are available in 5-pole (B-coded), M12, T-splitters and connectors, chassis parts or receptacles with sealing up to and including IP68. The M8x1 connectors are equipped with a D-coding for PROFINET applications and a P-coding for EtherCAT-P applications. Both D-coding and P-coding are available with a straight and angled version.